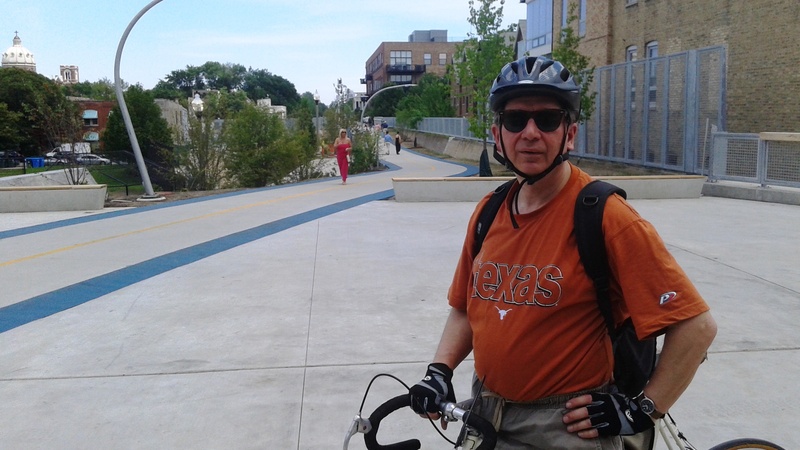 This entry was posted in Uncategorized and tagged 606 trail, Bloomingdale trail, Chicago, Chicago history, CTA Blue Line, cycling in Chicago. Bookmark the permalink. Hey Ed, great piece. I’m looking forward to riding it this weekend for my inaugural visit. Can you recommend a breakfast or lunch place somewhere along the line? Also, I recall reading of a grade school near the 606 having to add more bike parking because more kids are riding their bikes to school now. Can you hazard a guess as to which school that might be? Hello Russ; Thanks for your comment. There’s a school at Kimball; that might be the one in question. It’s on the north side of the trail. 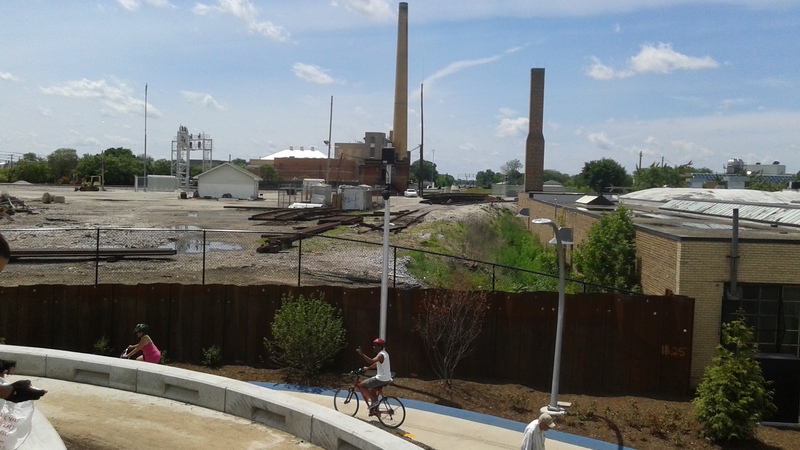 Note: It’s best to take an easy pace while riding the 606, especially if it’s crowded. Less people/cyclists on the west end, where the trail head has a cool “observatory.” Your best options for food would be to exit at Damen Av. You’ll be in the heart of Wicker Park/Bucktown. The Northside Bar and Grill, on Damen one block north of North Av., is a favorite. 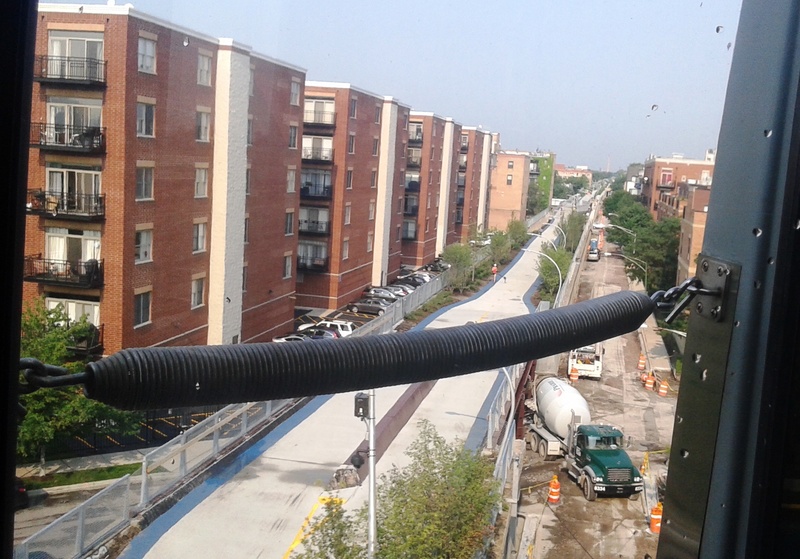 There are plenty of access points on the 606. My favorite view is at Humboldt Drive. Happy cycling.